The London Festival of Architecture (LFA) and Westminster City Council (WCC), in partnership with the Canal and River Trust, have revealed the shortlisted teams and designers to create a new public realm intervention alongside the Grand Union Canal, in the Harrow Road area of Westminster. Architects, landscape architects, designers and artists were invited to create a design concept for an experimental ‘cross-section’ installation to connect locals, visitors and passers-by with the canal. The competition aims to demonstrate how architectural and creative talent can revitalise forgotten spaces – such as this unloved stretch of towpath beneath the Westway – and how such initiatives can create welcoming and useful spaces for local communities. Subject to necessary consents, the installation will be in place in time for the London Festival of Architecture in June 2019.
aLL Design is an internationally renowned design and architecture studio, co-founded by the late Prof. Will Alsop OBE RA and Marcos Rosello.The practice work in all scales, designing anything – from teaspoon to city – with the aim to ‘make life better’. They are creative architects, designers and makers who adopt a playful, colourful, often sculptural approach and in the process reveal the surprisingly functional. Jack Wates is a London-based artist and design consultant whose work is engaged with light, ‘performative space’ and participatory design. Merrett Houmøller Architects were founded in 2014 and are based in London and Sheffield. They are interested in the process of making and believe that architecture should be for the greater good. The team are a design and research collective based in Copenhagen and London. Championing the value of space, exploiting ideas behind style and exploring how things are made, they pursue socially useful design as a means of public engagement. Continuously testing what form future architectural practice should take, they explore self-build, self-initiated and collaborative projects. KHBT is a creative studio based in London and Berlin set up by Karsten Huneck and Bernd Trümpler. The practice crafts unique spaces that sit between architecture and art, varying from minimal installations to the construction of buildings and urban or spatial strategies. KHBT has consistently created spatial works of local and international significance which are published widely as well as winning various awards. make:good is an interdisciplinary architecture and design studio involving people in shaping neighbourhood change. Founded in 2008, the team believe in meaningful processes of local participation, bringing people together to collaborate on the future of an area and its built environment. Sisters and Tiger is a brand new collective, collaborating with Powell Tuck Associates. They are designers, architects, planning officers, makers, gallery owners, illustrators, artists and sisters. The team has worked and lived in UK, Ireland, Brazil, Qatar, Germany and Poland, crossing boundaries and connecting cultures. 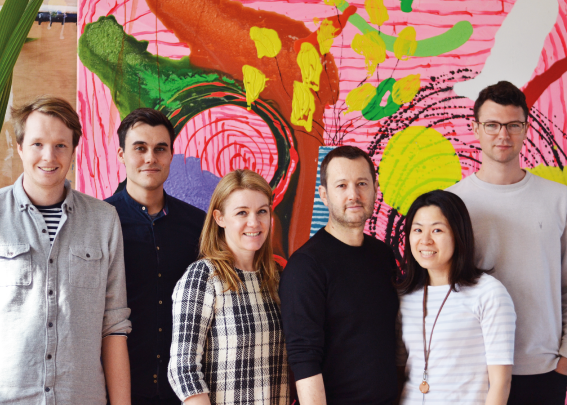 The winning team will be announced in April and awarded a total budget of £30,000 plus VAT to develop a fully costed, feasible design that can be delivered ahead of June 2019 as part of this year’s London Festival of Architecture.